The Nursery children had a fabulous Christmas dinner yesterday. 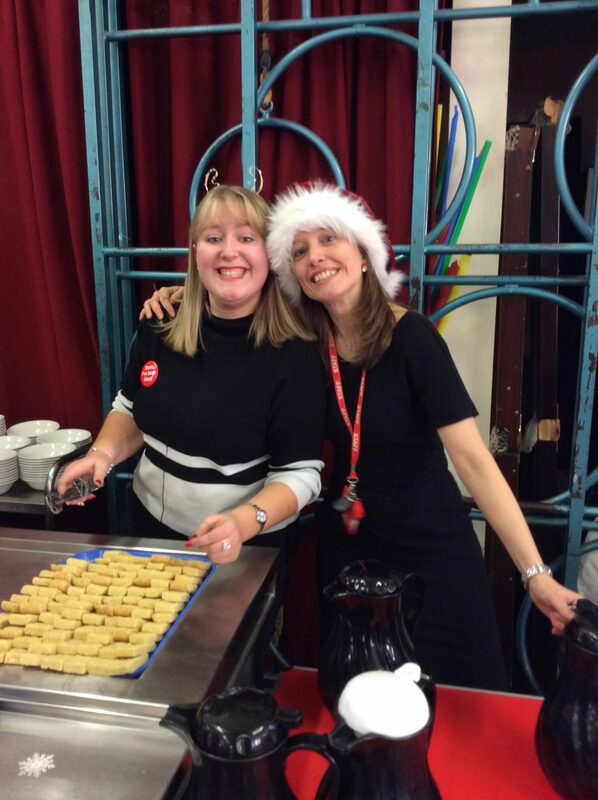 We would like to take this opportunity to thank all of the lunchtime supervisors for their help everyday, Mrs Martin and Miss Morton for serving the deserts. A great big extra special thank you to all of the ladies in the kitchen, our Christmas meal was beautiful! You are all amazing! This entry was posted in EYFS and tagged S.M.S.C. on December 15, 2017 by Sandford Hill. The dinner looks lovely children! I hope you all enjoyed it. Theo loved that he was allowed two puddings after his Christmas dinner! Biscuit and ice cream made his day!